Are you eating dirty food? | That's Bad For You! Are you eating dirty food? You would be amazed to see all of the grime, dirt and pesticide residue that sticks to the food you bring home from the supermarket. You must be sure to properly clean all of the fresh food items you plan to eat. Foods like beef and poultry are at high risk of Salmonella and other food borne illnesses. Any small dent or puncture in your fruits and vegetables open a path for bacteria to invade. Take a minute or two and have a look at the ten dirtiest foods that you and your family may be eating on a regular basis. You must do more than a quick rinse to properly clean food. Think about the build up of pesticides and dirt on your produce. You must do more than rinsing to get it off. 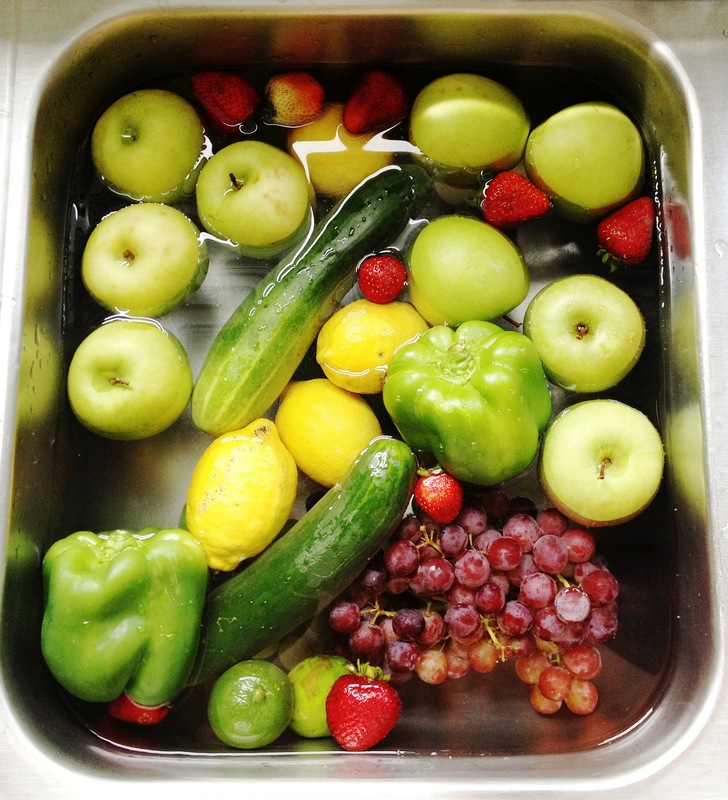 There are several effective ways to clean your produce that will ensure that you are eating clean food. Thanksgiving is around the corner and that means its about to be food heaven! Please folks, be careful with the food that you bring home from the grocery store and think twice before you snag grapes from the fresh fruit aisle for a quick snack! It’s bad, they haven’t been washed! This entry was posted in Helpful, Nasty, Potentially Bad, Very Bad and tagged dirty food, eggs, grocery store, produce, toxins, tumblr.com by thatsbad4u. Bookmark the permalink.